A request to review Kabbee came at an opportune time for me. 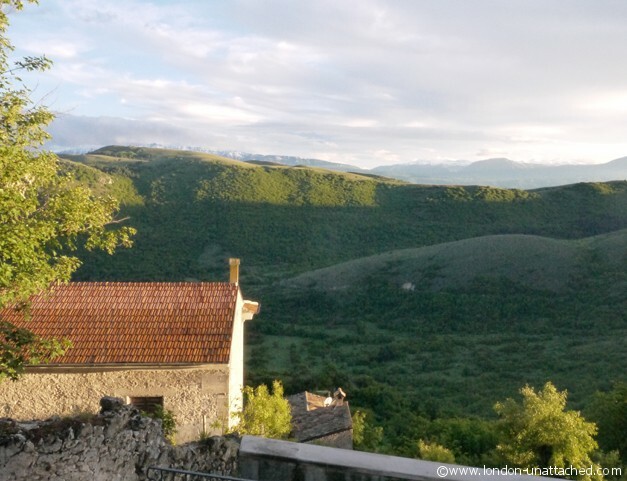 My second trip to Abruzzo coincided with some flight rescheduling at Ryan Air that resulted in my morning flight to Pescara in Abruzzo leaving at around 7.30am and the evening flight returning me back to the UK just before midnight. Other than by booking into a hotel for two nights, I was going to need some way of getting to and from the airport at a time when normal public transport wasn’t working. Of course I could get a cab to Liverpool Street and then get the train. Or a cab to Victoria and then a coach. But adding up the cab fares, time and inconvenience it all seemed a little too much like hard work. And the alternative airport in Italy was Rome. Plenty of flights but the threat of having to drive a hire car around the outskirts of Rome. I was hoping for a peaceful and relaxing time in Abruzzo! 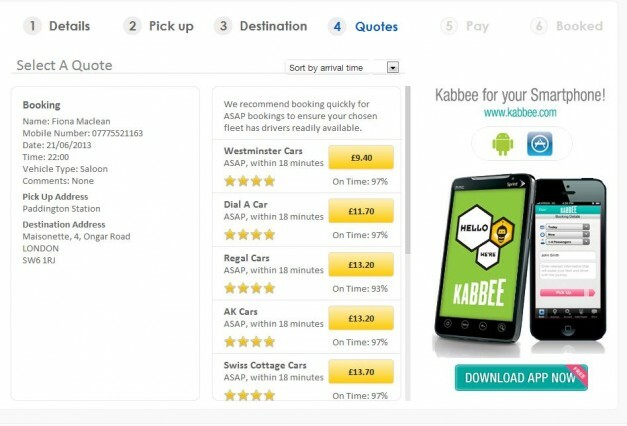 I checked with my local cab firm and was quoted £75 one way. And then Kabbee contacted me, asking me to review their service. Karma. I went to the website and registered, before downloading the app to my phone. All quite simple even for a techno-numpty like me. The Kabbee system produced a substantial saving on the original quote (£50 to Stansted and £57 back). I did worry though. Perhaps there was some catch? At 5am on the morning of the flight, I got a text to tell me my driver was outside and then a call from him. And, we arrived exactly on schedule. The car was clean, the driver quiet (it was early!) and the journey totally hassle free. My return journey wasn’t quite as smooth because the Kabbee system to notify customers falls down a little in an airport environment. After all, it’s almost impossible to work out how to find a black passat with only a registration number to identify it in an airport car-park at night! But the initial hiccup was sorted out swiftly by the control desk and my journey home was fast and comfortable. 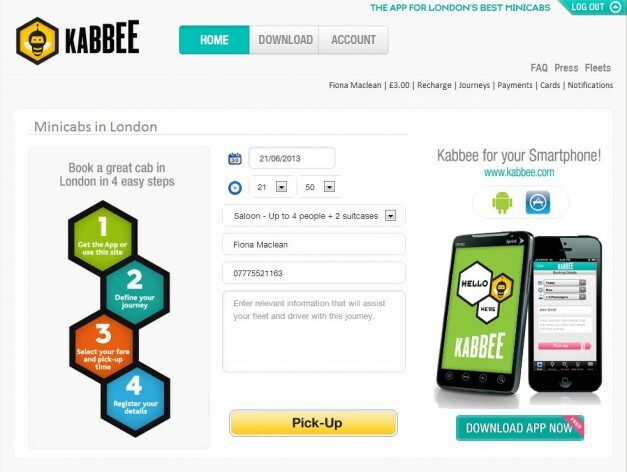 What I like best about Kabbee is that it empowers me to find the right cab for me. When I log into the app on my laptop or phone, I can add funds to my account or chose to book a journey and pay with cash. And, I can select my cab provider based not just on the cheapest fare but also on reliability and punctuality. Yes I do like the service and I will continue to use it. Given the late at night black cab fare home for my last visit to Abruzzo was £40 from Liverpool Street, a £57 fare from Stansted seems like something of a bargain. And I love the convenience of being able to book and schedule my pick-up. Of course I use the underground, night buses and black cabs too, but for late at night this seems like a good compromise between the rather expensive immediacy of the black cab and painful journeys on night buses. There are a few other nice touches. The monthly statement is really great for someone who is self employed. All those receipts that you are supposed to save and submit in one neat email. There’s a feed back service so you get to rate each journey. And, there’s a refer a friend scheme so if you sign up yourself and use the code K5YXKG I’ll get a credit. If you’d like to try for yourself why not pop over to the Kabbee site and download their app. And by all means let me know if you have a better means of getting around London late at night. Worst service ever. booked a cab for 5th July at 16.40pm, the taxi driver waited for 25min, and without any notification, they charged me an extra £16.50 for waiting time. when they are supposed to charge after 1 hour from the time of booking. When I called to get an explanation to Sky cars, the company providing the service on behalf of Kabee, this person was shouting at me over the phone, he was so rude and then put the phone down. Unbelievable, that you pay for this can of service! Good advice, and the app seems to work just as it should. We have a similar service in Canada and US called Uber – great service and costs less than regular taxis. So convenient to be able to do everything on your smartphone. This could be really good for both cabbies and clients. It worked for you..